I like the look of the AEV Front Bumper, but is it as strong as the other bumpers available on the market? AEV strives to build parts that not only compliment and enhance the look of your Wrangler, but parts that are the most durable, reliable and trust-worthy as well. Our JK Premium Front Bumper is no exception. It begins with substantial materials. The outer shell utilizes 1/8" steel and is backed with a 3/16" steel sub-structure. Further, the winch mount is constructed from 1/4” steel and the D-Shackle attachment points (critical in tough winching operations) are built from 1/2” steel plate. Adding even more strength is the steel stamping manufacturing method AEV chose to construct this bumper. On a molecular level, the sheer force from the stamping process realigns the steel’s molecules and work-hardens the steel. This means that AEV can actually get greater strength with less material. Even more importantly the AEV bumper has no “flat” sections, meaning that every surface is slightly arched to provide strength that is simply not possible with a fabricated plate steel bumper. There is no other bumper in the industry that provides this level of style and ruggedness. Do I need to use the Winch Mount? What winches will fit with the AEV Front Bumper? Our JK Premium Front Bumper can be used with or without a winch mount. AEV can provide you with our Winch Mount which tucks neatly between the frame rails and is designed to fit most low-mount planetary winches up to 9,500 lbs. AEV recommends the Warn line of integrated-solenoid winches. If you plan on going winchless AEV also makes a Non-Winch Cover Plate specifically designed for our JK Premium Front Bumper. What winches will fit with the AEV Front Bumper? AEV’s bumper is designed to easily accommodate most low-mount planetary winches up to a 10,000 lb. capacity. AEV recommends the Warn line of integrated-solenoid winches for their ease of installation and time-proven performance. AEV equips its vehicles with the Warn Zeon 10-S Winch. 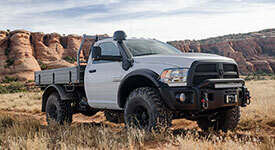 Warn’s 8274, Powerplant and Endurance models do not fit the AEV bumper. Will I need to make suspension modifications to counter the added weight of the Bumper and winch? That will depend on your preferences. In general, the weight of our bumper (combined with a winch) equals about 200lbs. From that you can subtract roughly 35 lbs for the stock bumper you have removed. The remaining 165lbs will typically bring the nose of the JK down about 1/2-inch from stock height, with stock springs. You may notice a small change in the ride and handling of your JK or you may find the nose-low look of the JK doesn’t suit you. If either is the case, a set of 1997-2006 Wrangler front springs can be swapped in or an aftermarket suspension installed. Most aftermarket suspensions take into account the weight of a bumper and winch. Overall, it has been our experience that most people do make a suspension change, but it is not mandatory. Don’t I lose a lot of tire clearance and approach angle with the AEV Front Bumper versus a “shorty” bumper? Regarding approach angle, there are certainly “shorty” bumpers available whose sole purpose is to deliver maximum approach angles. Do they deliver better approach angles than the AEV bumper? Probably. However, these “shorty” bumpers also deliver a huge compromise to vehicle protection and occupant safety. Most customers aren’t willing to accept that compromise and many buy AEV for the best all-around bumper solution. AEV’s bumper has been designed to allow for maximum approach angle. When compared to the stock bumper, or other bumpers in the same class, the AEV bumper is superior. I’ve heard that many full-width bumpers don’t have adequate tire clearance for larger tires, what size tires can I run with the AEV Front Bumper? We paid extra attention to tire clearance when designing the rear closeout of our Front Bumper, and as a result you can run up to 37” tires without any issues. Are there locations to use a farm jack (Hi-Lift) on the AEV Front Bumper? Yes. The AEV bumper has a flat section located on its underside, between the crush-can covers. This area was reinforced to handle the load of the vehicle when lifted with a farm jack. For an added measure of safety, AEV offers an optional bumper skid pan that includes two farm jack windows that serve to hold the tongue of the jack in one position beneath the bumper. This prevents the jack from sliding sideways during extremely high lifts. Are the D-shackle mounts really designed for tough extractions or are they just for looks? Made of 1/2-inch plate steel and bolted directly to the JK’s chassis, AEV’s D-Shackle mounts are the real thing! Though thinner material could have withstood the forces of the typical in-line pulls, where the winch anchor is directly ahead of the vehicle, AEV went heavier because it knows that in the real world the anchor can be anywhere. Experience has shown that misaligned (deflected-angle) pulls are common during vehicle extractions and they can subject thinner materials to forces great enough to easily bend them right over. Will the AEV Front Bumper work with aftermarket fender flares? Yes. So long as the forward-facing portion of the aftermarket flare (just above the bumper) does not extend lower than that factory flare, there should be no interference with the AEV bumper. Wider flares can also be used, but the bumper looks best with the OE flares. Why does AEV’s Front Bumper use crush cans? The factory crush cans are an integral part of the JK’s low-speed impact absorption system and are tuned to work in concert with the vehicle’s Supplemental Restraint System (SRS) for proper airbag deployment. It is import to recognize that the vast majority of aftermarket bumper manufactures make no provisions in their bumper designs to prevent a low speed deployment of the airbags. AEV is not willing to make this compromise. I have an export Jeep Wrangler that doesn’t have crush cans, what should I do? Export model Wranglers are designed to an entirely different set of airbag standards and as such have a different airbag system that does not use crush cans. AEV’s bumper can be installed without the crush cans and AEV’s crush can covers can be installed to dress out the bumper – just as you would if the crush cans were being utilized. I flat tow my Jeep behind my RV, can the AEV Front Bumper be adapted to work with my tow bar? What type of paint or rust protection is on the AEV Front Bumper? 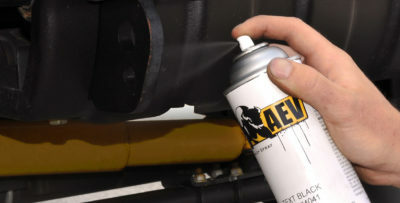 AEV strives to make sure all of our parts look great for years to come. Bumpers are first dipped in E-coat, which was developed originally for the automotive industry because it provides superior coverage, adhesion and corrosion resistance. Because it’s a dip, every piece of the bumper is thoroughly coated. After E-Coat, the bumpers are finished with a zinc-rich powder primer and a quality satin-black powdercoat top-coat. The E-coat and zinc primer are important extra steps not present among our competitors and they make the AEV bumper highly resistant to rust and abrasion. AEV’s powdercoat is also textured to ideally match the look of the JK’s fender flares – something that most competitors’ bumpers don’t offer. Since AEV bumpers are now a factory installed item for certain limited edition Wranglers, ALL 2012 vehicles built after 12/21/11 now have every hole required for the AEV bumper, which makes it a NO - DRILL installation. 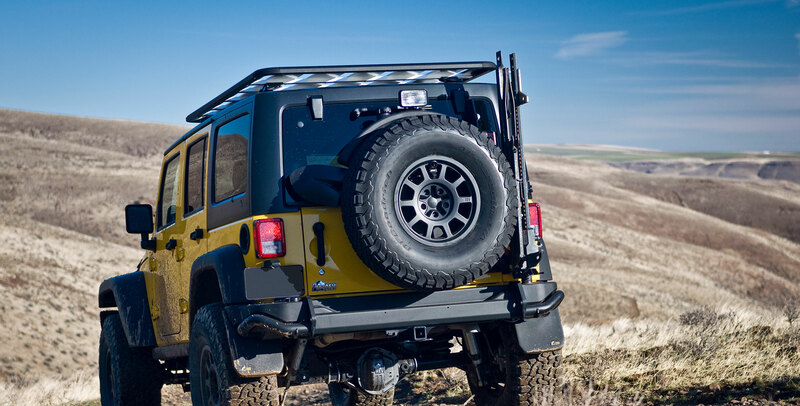 Including removal of the old bumper and including mounting of a winch, the average home installer should allow approximately 3-4 hours for 2012 Wranglers, and about 4-5 hours for an earlier model. Where is the AEV Front Bumper manufactured?